The guest speaker at Thursday’s meeting was Henrietta Bond who spoke about the problems of young people leaving care. Henrietta has spent many years studying and writing about the problems of care leavers. She clearly feels strongly about the issue and that was reflected in her talk. She gave graphic descriptions of the many problems which are faced by such young people and emphasised that these are self perpetuating problems in that many of those in care have a parent, or parents, who were themselves in care. It was not, however, a picture of unrelieved gloom as she gave examples of young people who have overcome all the obstacles to make a success of their lives. Membership renewal has been completed and, together with 8 new members who joined on Thursday, we have 345 members – an increase of about 10% on this time last year. A new list of officers and committee members and their contact details is on the website. If you have any comments on any matters please do not hesitate to contact me or any other committee member: ideas for new special interest groups or possibly short would be welcomed as would suggestions for speakers. 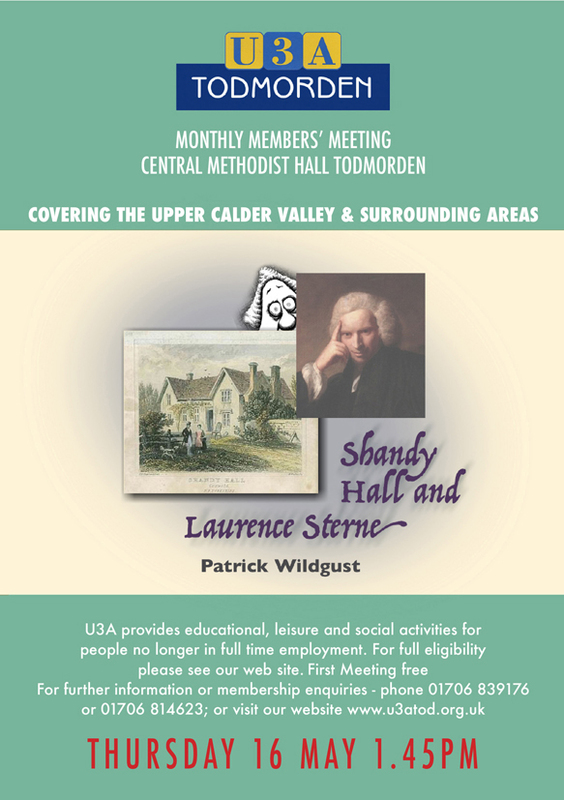 The next meeting is on Thursday, September 18th when we are fortunate to have secured as our speaker, Barbara Lewis, National U3A Chairman whose subject will be “U3A and Me and U3A and You” . On the same day, September 18th, we have a coffee morning which will feature displays and information from all Special Interest Groups so providing an opportunity to find out more about what is happening. This is open to non-members and so if you know anyone who may be interested in joining U3A please invite them. AND IT IS FREE – EVEN THE COFFEE AND BISCUITS!